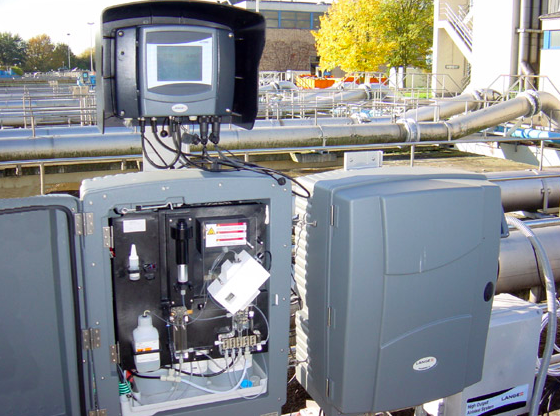 Innovative Control and Automation for Water Treatment. Ditch the Jar Tester. Stop Overdosing. Save Money. Water treatment facilities need to remove fine contaminants from waste water as the first step in the water treatment process. 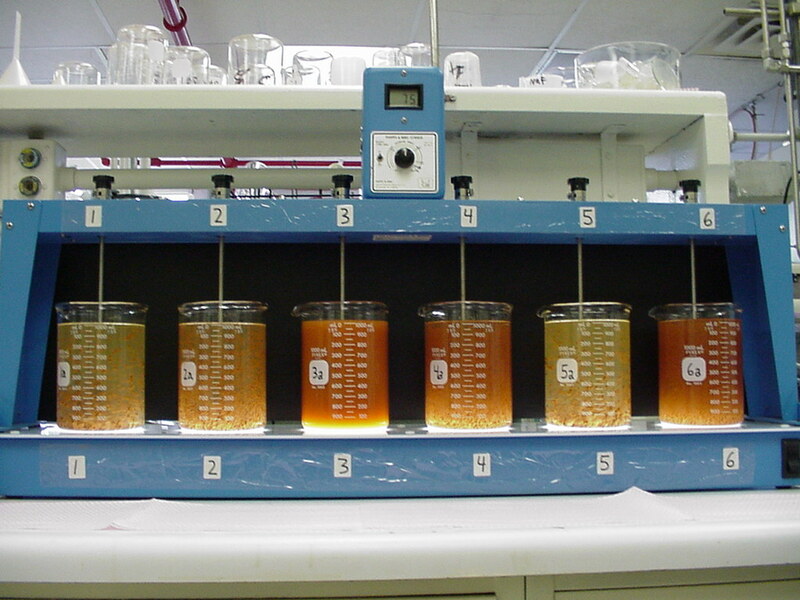 Chemical additives are used to coagulate and flocculate these contaminants. However, due to the variability of the contaminants in the waste water, the chemical dosage varies. Water treatment facilities need to monitor the effect that their additives have on the waste water and adjust their dosages accordingly. If the treatment professionals do not get the dosing just right, either over-dosing or under-dosing can occur. Coagulation and Flocculation are key processes in water and wastewater treatment. Very fine suspended contaminants are aggregated to enable or improve removal in downstream processes such as sedimentation, flotation or filtration. This is possible by adding specialty chemicals that modify the electrical charge of the contaminants and help them bind and hold in clusters. The efficiency of the coagulation-flocculation process depends on maintaining the correct dose of these chemicals, a task which becomes more challenging with highly variable feed waters. 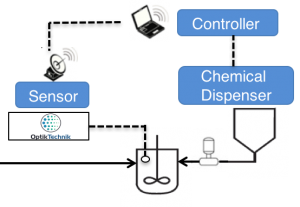 Most plants monitor and control dosing manually, a process which is labor-intensive, time-consuming and subject to human error and level of expertise. Although options for automation exist, they are complicated, expensive and generally do not work well with highly varying incoming water. The end result is most plants consistently over dose or under dose their coagulation, flocculation and dewatering chemistries. Over-dosing can result in water that does not meet safety and environmental specifications and affect downstream processing units and result in higher solids volume which are more expensive to dispose of. Not removing all contaminants in the water can cause problems and/or damage in later treatment stages. The Jar Tester has been around for over a century. It requires manual off-line testing by highly skilled and trained operators. This method is time consuming and tends to lead to overdosing. Some large treatment facilities have online testing and dosing automation, but these solutions are prohibitively expensive for smaller facilities and industrial uses and do not work under all conditions. OptikTechnik’s monitoring and control system will reduce chemical additive overdosing by monitoring the process 24/7. Our system uses a patent pending optical sensing technology to detect the level of aggregation and then the controller adjusts the chemical dosage accordingly.